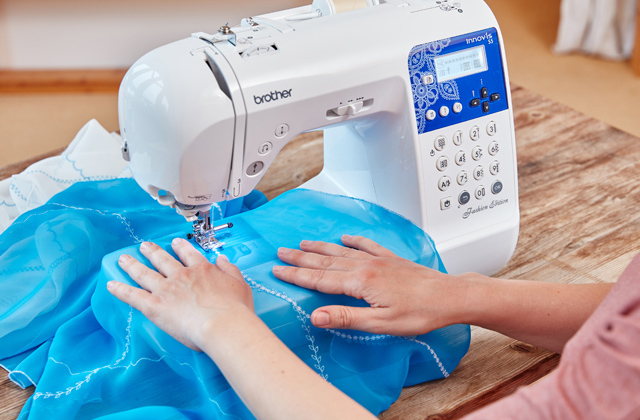 The high-quality oilcloth canvas comes with a surprisingly strong glue covering it so that the diamonds don’t fall down the moment they’re pressed onto the canvas. 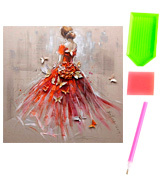 The 26-facet beads make the painting look and feel more dynamic, three-dimensional, and vivid. Several of the symbols can be difficult to distinguish. Artoree Back Girl looks as gorgeous as the next painting. 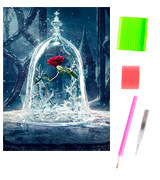 But what really sets this product apart, making it the best diamond painting kit here is how durable it is, the level of detail behind it, and how surprisingly easy and practical it is for such a complicated piece of artwork. With 35 colors, this kit presents an actual challenge, so feeling of satisfaction when you finish the painting is that much more powerful. Using the tweezers that come with the set, you'll be able to pick multiple beads at the same time and put the painting together in a shorter time frame. The beads don't have a lot of facets. Sqailer Rose is all kinds of excellent. We would mostly recommend it to people who love the challenge and have the patience to complete such a time-consuming painting. But, given how beautiful it is, the model is just as good of an option for customers looking to enrich their space. 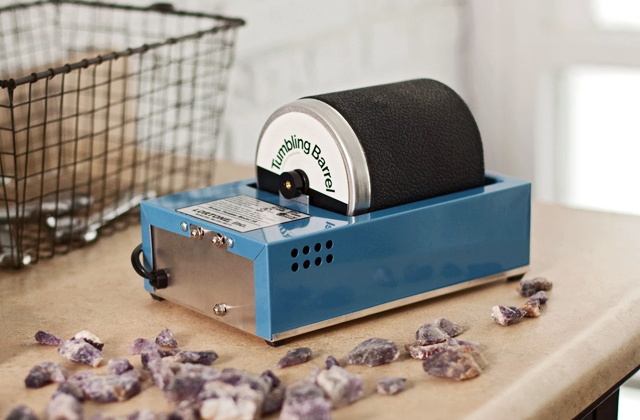 The kit helps with reducing the stress levels and emotional adjustment. Through that sense of achievement, you can build self-confidence, learn perseverance, and cultivate patience. 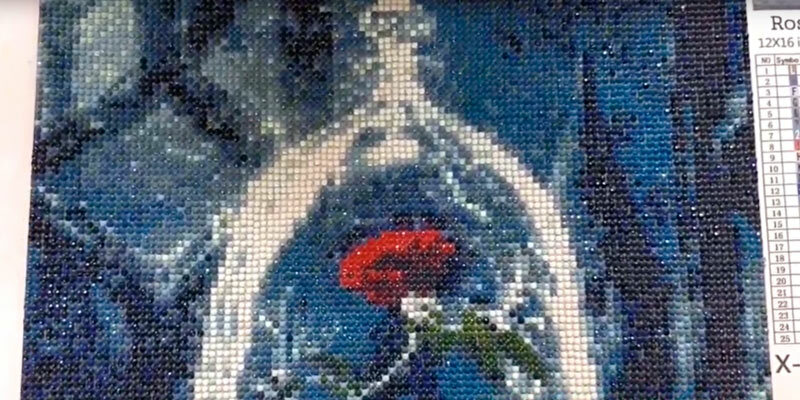 With 17 square sections above the round drills, the beads make the painting look vibrant and shiny. Plus, they'll hardly ever fade. The picture isn't very detailed. AIRDEA Seaside Moon Beach makes for an excellent gift for children and adult alike, no doubt about it. Anyone will be able to put the painting together, doesn't matter how familiar you are with these things. Just pick up the pen-like tool and get to the surprisingly exciting work. The oil canvas with even texture makes it easy to complete the picture and keeps it nice and even. An environmentally-friendly hot-melt adhesive paste is hypoallergenic and it doesn't have a smell to it. Though really strong, you can easily wipe the leftovers from the beads' exterior without ruining the picture. It isn't easy to find the right frame for the picture. There isn't a specific target audience for this kit. It will likely prove difficult enough for people who like the challenge but also accessible for those who don't have enough experience with these kits under their belt. With its calm shades, the painting meshes well with any interior. The canvas adds up to 11.8" x 11.8" in width and height, making the picture look a lot more detailed. Furthermore, it takes far less space. Everything that you need to piece the picture together comes with the package. It isn't difficult to put the cute cat pic together. The gel is quite thick and doesn't last very long. 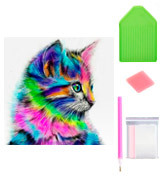 AIRDEA Cute Cat DIY 5D Diamond Painting Kit should be able to attract and capture the heart of any cat person. 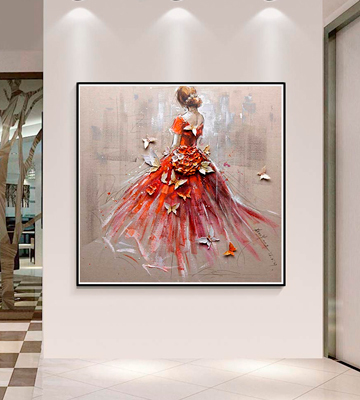 With this painting, you'll be able to turn any dull-looking room into something much more interesting and intriguing. Plus, it serves as a nice conversation starter. Though Artoree Back Girl may seem like another diamond painting, the difference between this kit and the absolute majority of its competition is staggering. 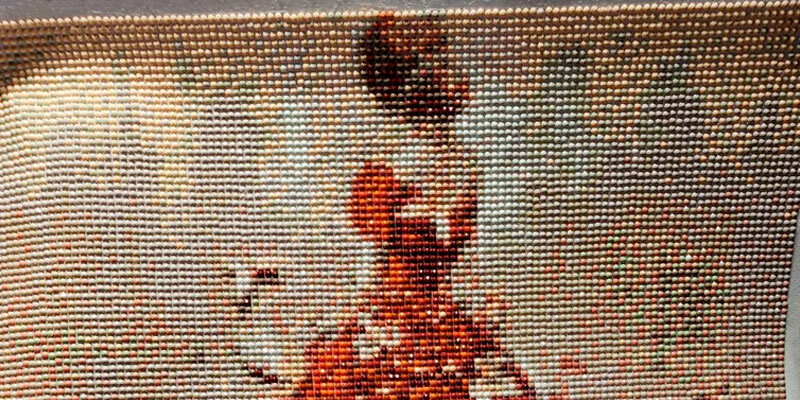 Where the latter often focus on the diamond beads alone and skimp on the canvas, the people behind this product couldn't have gone with a more different approach. 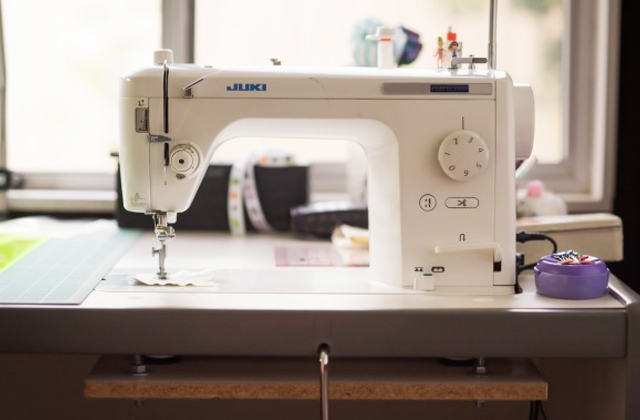 Their high-quality oilcloth canvas is as durable as they come, with a surprisingly strong glue covering the canvas so that the diamonds don’t fall down the moment they’re pressed onto it. 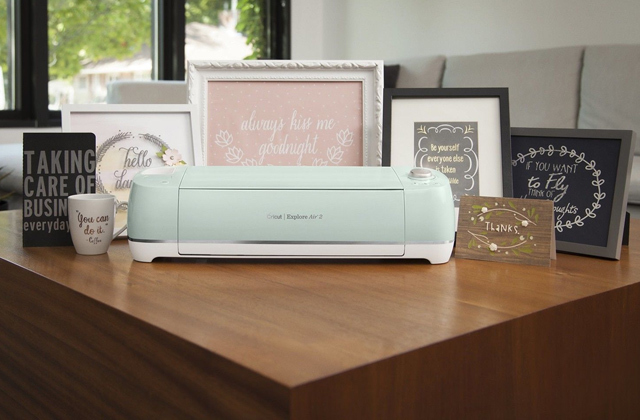 It is waterproof, damp-proof, and wrinkle-free, meaning that the picture won't start losing its dazzling appearance after a year or two. Now, we're not saying that the diamond beads are the weak link here. On the contrary, featuring 26 facets, these rhinestone beads shine the brightest, making the painting look and feel more dynamic, three-dimensional, and vivid. 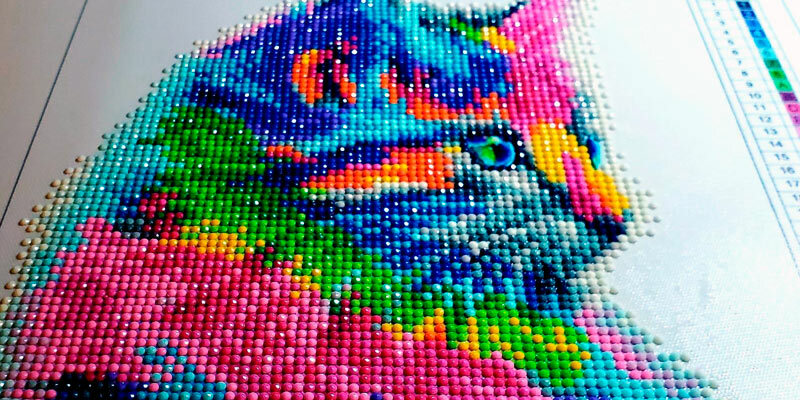 Plus, the beads that the company uses are completely round, so they are a lot easier and less frustrating to paint. The only issue we have with this product is that several of the symbols can be difficult to distinguish. Then again, considering the ridiculous level of detail here, that is hardly surprising and not necessarily something to complain about. In other words, Artoree Back Girl looks as gorgeous as the next painting. 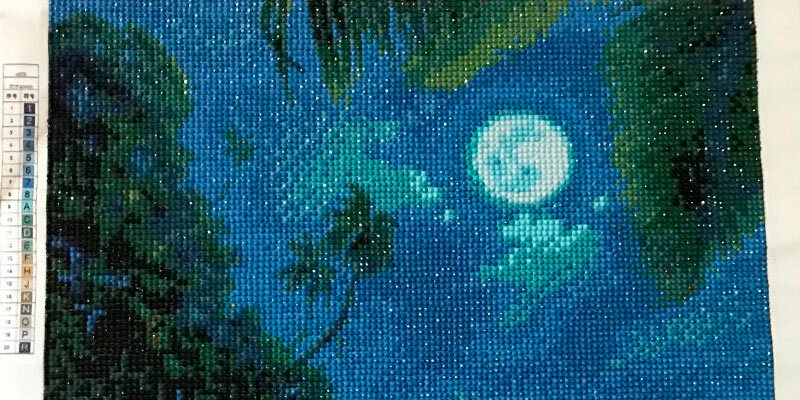 But what really sets this product apart, making it the best diamond painting kit here is how durable it is, the level of detail behind it, and how surprisingly easy and practical it is for such a complicated piece of artwork. Sqailer Rose is absolutely stunning, we hardly need to point that out and focus too much on it. 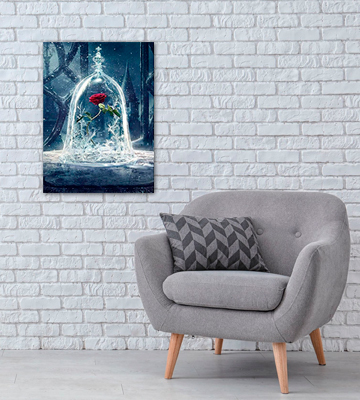 Though the images here don't really do it justice, you can probably tell just by looking at them how much character there is behind this rose and how much it will be able to enrich your space. What really sells the product, however, at least as far as we're concerned, isn't the way it looks. See, there are many pretty diamond paintings on the market today, one more attractive than the other. With Sqailer Rose, it is more about the level of difficulty than anything else. 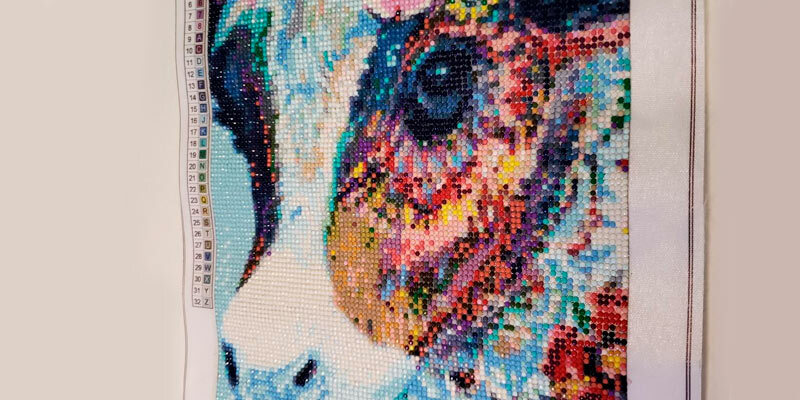 Incorporating 35 colors, this diamond painting kit is more difficult than most. The challenge that it presents is nothing if not addictive and the feeling of reward and satisfaction when you finish the painting is that much more powerful with a difficult kit. To slightly make up for the high level of difficulty, the people behind the product supply it with a pair of tweezers in addition to the usual pen-like tool. Using these tweezers, you'll be able to pick multiple beads at the same time and put the painting together in a shorter time frame. The only major disappointing factor here are the beads themselves. With just 12 facets, they just don't make the painting feel as three-dimensional and alive as the ones with more facets. Nevertheless, Sqailer Rose is still all kinds of excellent. We would recommend it to people who love the challenge and have the patience to complete such a time-consuming painting first and foremost. That being said, given how beautiful it is, it is just as good of an option for customers looking to enrich their space. 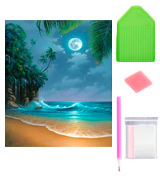 AIRDEA Seaside Moon Beach is just about everything a painting kit is supposed to be. 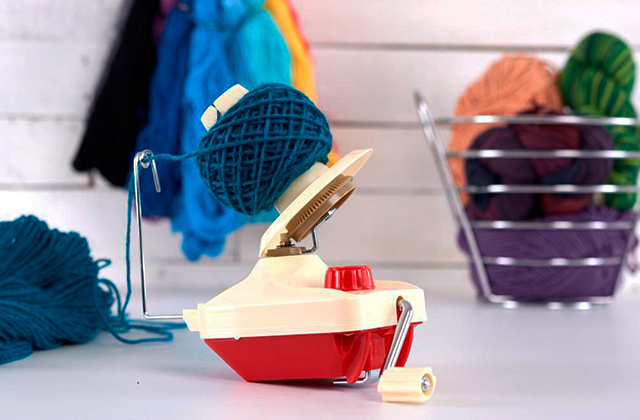 It is not difficult at all, incorporating just 20 colors. Now, on one hand, that does make the painting a little less detailed and lifelike compared to other kits in here. On the other, the completed picture still makes for a great decoration piece. 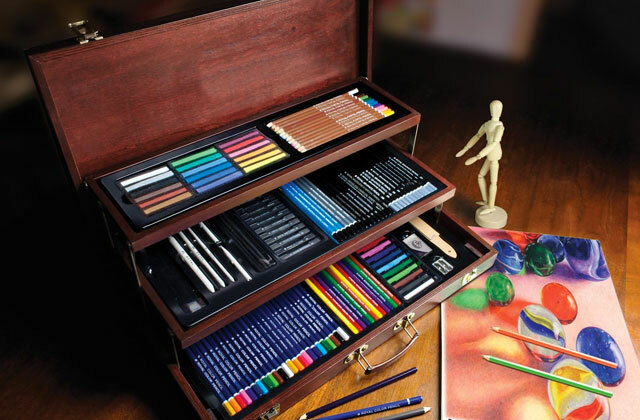 Because of how easy it is, you can gift this product to any child or adult you know, knowing full well that they won't find it too challenging and will be able to put the painting together without wasting too much of their time. Plus, even though it is relatively easy, you still get that sense of achievement. It helps with reducing the stress levels and emotional adjustment. Young and old alike can benefit from a diamond painting kit like that, improving self-confidence through that sense of achievement, learning perseverance, and cultivating patience. Plus, the diamonds beads themselves aren't too shabby either. 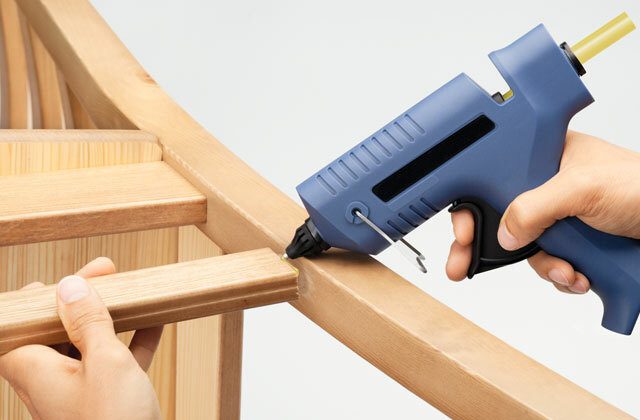 With 17 square sections above the round drills, they make the painting look vibrant and shiny. They'll hardly ever fade, maintaining the brilliant appearance for years to come. All things considered, AIRDEA Seaside Moon Beach makes for an excellent gift for children and adult alike, no doubt about it. Anyone will be able to put the painting together, doesn't matter how familiar you are with these things. Just pick up the pen-like tool and get to the surprisingly exciting work. 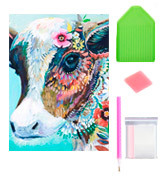 An all-around well-balanced product would be the best way to describe this WYQN Colorful Cow diamond painting kit. 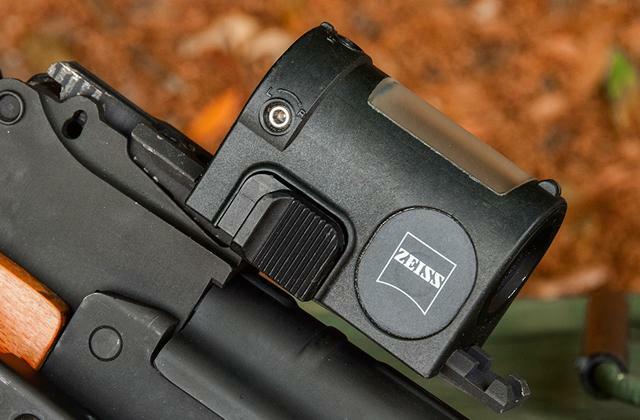 On paper, there isn't necessarily anything about it that would pique the attention of the most demanding customers but there is a thing or two about it that allows the kit to edge out its competition. First, let's start not with the diamonds but the canvas. More specifically, a high, clear-printing oil canvas with even texture that makes it easy to complete the picture and keeps it nice and even. The only gripe we have with the canvas is its size. Measuring 11.8" x 15.7", it can be difficult to find a fitting frame for the picture. 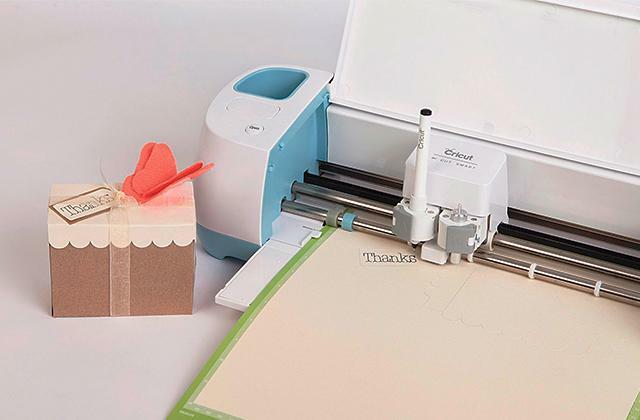 On the canvas, you'll find an environmentally-friendly hot-melt adhesive paste. That paste is hypoallergenic and it doesn't have a smell to it. Though really strong, you can easily wipe the leftovers from the beads' exterior without ruining the picture. As far as the diamond beads go, this kit does not disappoint to say the least. With 32 colors to them, the painting can be relatively difficult to put together but it does look subtle and realistic once you complete the task. At the end of the day, there really isn't a specific target audience for the WYQN Colorful Cow diamond painting kit. It will likely prove difficult enough for people who like the challenge but also accessible for beginners (kids and adults). With its calm shades, the painting will mesh well with any interior. 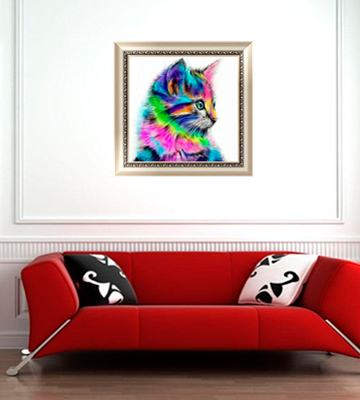 For the feline admirers, AIRDEA presents their Cute Cat painting kit. As you can probably tell from the images, the painting, when put together, presents an admittedly cute picture of a lovely cat. If you find your house's décor insipid and ordinary, we couldn't recommend this rainbow-colored highly enough. There's hardly any difference between this kit and AIRDEA's previous entry on our list, so we'll try to keep things brief. 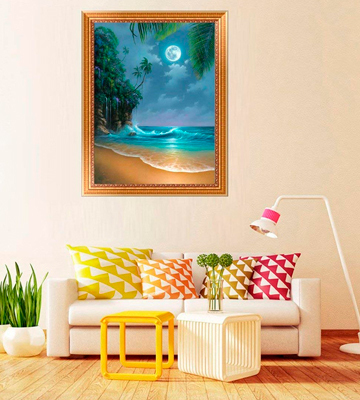 First, the canvas adds up to 11.8" x 11.8" in width and height, so it is noticeably smaller than the Seaside Moon Beach one. We like to think of it as more of an advantage than the opposite. For one, the picture looks a lot more detailed. Furthermore, it takes far less space. The level of difficulty here is more or less the same. Considering that the picture has just 21 colors to it, you'll be able to piece it together in no time at all. The diamond beads have 17 facets to them, so the painting will look relatively vibrant, albeit not as dynamic as it could be with more facets. Now, as per usual, everything that you need to piece the picture together comes with the package. That being said, the supplied gel is a little sticky and it doesn't last very long, so we would recommend picking a different adhesive separately. All in all, AIRDEA Cute Cat DIY 5D Diamond Painting Kit should be able to attract and capture the heart of any cat person. 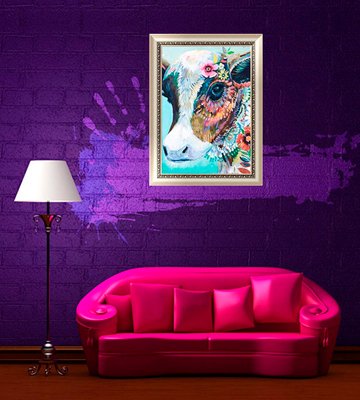 With this painting, you'll be able to turn any dull-looking room into something much more interesting and intriguing. Plus, it serves as a nice conversation starter. What Is a Diamond Painting Kit? There's an artist in all of us, anyone who believes otherwise can take his half-empty glass and go elsewhere. The only problem is that we don't always have the skills to express our ideas. The things we have on our mind can be fascinating but putting them into words or image(s) is seldom an easy task. 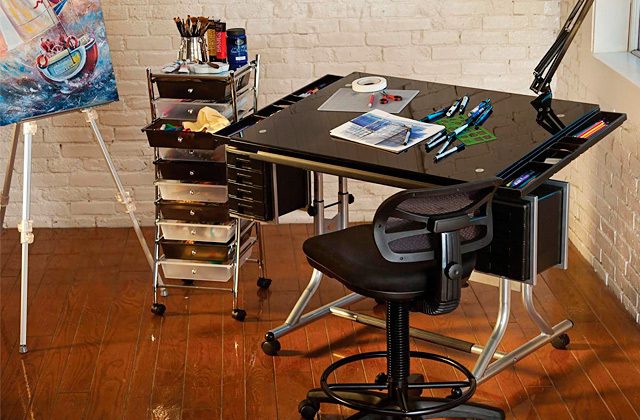 Well, with these diamond painting kits, the task is about to become a whole lot easier. Sure, you won't be able to use them to project your own ideas. Every kit builds up to an image that was already decided for you. But putting the image together is surprisingly fun and you can still let your creative side take the wheel and enjoy the ride. Plus, it isn't just about the process but also about the end result. The picture that you will inevitably put together will be able to add character to practically any room and will likely prove a charming addition to different decorative schemes. More often than not, it is all about the level of difficulty. Easier kits make great presents for children and people who do not necessarily for putting the picture together. 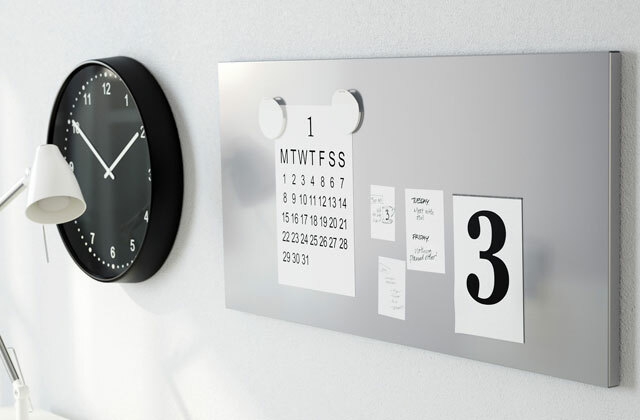 Harder ones, on the other hand, present a great challenge on top of their decorative benefits. 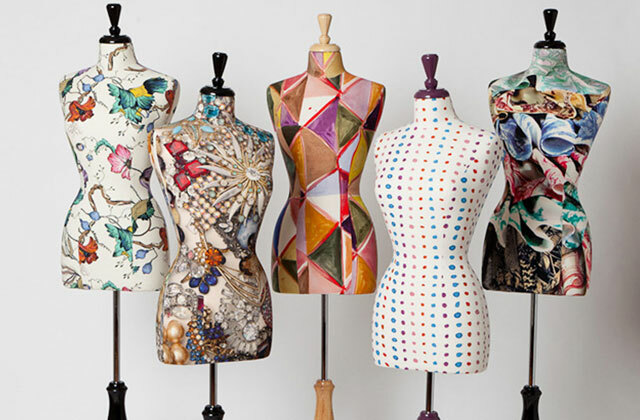 Looking to add even more character to your décor? These storm glasses and oil lamps will be a great place to start.